ሓሶት ናብ ሓቂ፥ ሓቂ ድማ ናብ ሓሶት እንተቀየርናዮ እንታይ ጸገም የምጽእ? ኣሰከረን ርኢኹም ሓጠቅ-ሓጠቅ ኢሉኩም ይፈልጥ ዶ? ኣብ ከረን ተወሊዱ ኣብ ከረን ዝዓበየሞ ብለን ዘይክእል ሰብ ማሕቡሰ ዶ ይውሕዶ? ናይ ሎም ዘመን መዓልቲ ናጽነት ካብ ልደተ ዓባይና ነጃት ጀሚሩ ስለዝቁጸር፥ ዝበዓለሉ ዕለት ግንቦት 24, 70,002,018 ድሕሪ ልደት ዓባይና ነጃት ምዃኑ ትፈልጡ ዶ? We are questioning a legitimate question and we are not accusing anyone or the site of doing anything. I think anyone should not be afraid to ask anyone who wear himself Eritrean colors , it is a legitimate point sir . We can not have an organization that is off limits when it comes to the interest of general public. አህልን ሳልሕ፤ ሕጃብ ድማ አይትረስዕ! A very special happy Independence day to all! How can one forget Friday, May 24th, 1991; when we entered Asmara to be greeted by thousands of Eritreans, young and old, who were already celebrating and dancing in the streets. Asmara didn’t go to sleep for one week afterwards. AK-47s we’re constantly being shot into the air in a triumphant note. Happy Independence day to you and all awatista. This is the day we need to celebrate for the sacrifice made by all Eritreans to make this day possible. Celebrate the eminent bright new tomorrow! Wish you all Happy Independence Day! Hey P; I was waiting and waiting if someone ever going to say something. Thanks. The toothless Eritreans will rush to say happy Adwa-day to the Ethiopians and the Ethiopians don’t even acknowledge the very special day of Eritreans. to be fair, there are Eritreans who don’t give a flying hoot about the Eritrean independence day, like awate.com. What is the harm for the team to congratulation the Eritrean people by saying happy independence day? Anyone can have a problem with the government but what got to do with independence? No wonder the opposition is a joke. Happy Independence Day. Independence was not given on a silver platter; it was not meant to answer all problems. It was meant to be a requisite or a foundation for citizens to work to find solutions customized to their unique needs (Eritrean needs versus Ethiopian needs). No body shoved Independence to anybody. Eritreans overwhelmingly worked for it, bled for it, and approved it. No regret for that. Still we have a beautiful country worth working for, we have a steadfast people who love their country. That’s the most important factor for the continuity of a country. Keep filtering the mixed signals. whatever aspect of May 24 one may oppose is not because of May 24; it is because of wrong strategies that have been pursued by interest groups after that date. The opposition groups are equally guilty in prolonging the state of affairs they are complaining off. Pursuing wrong strategies for “right solutions” don’t match. Keep Marshaling, the future of Eritrea is hinged upon hopeful young Eritreans. Things are getting clearer, the future looks much better. Happy eritrea independence day, for all true eritreans. It was the day we made it against all odds! We paid the brightest; we paid the mightiest and in a true sense all the superlatives you can think of. The ephimeral will wither but the glorious day [Eritrean Independence] will live on! Eternal Glory to Our Martyrs! Very hard to understand ,When will awatecom say happy Independence Day ? What is the motive behind this? behind this self inflicted prison . 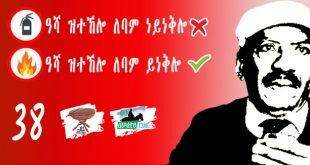 The motivation is Hate of EPLF collectively. I wouldn’t tell you they don’t love their people or country BUT their hate for PIA Supersedes and Countermands over their love of the country and their people, simple and short! if not, what is so hard to say happy independence day to Eritrea and her people? Think about it. Well , I just don’t think hating EPLF has anything to do with Eritrea’s brightest generation sacrifice, after all before EPLF there were great organizations that pockef the African so called lions and bleeded them to death. Eritrea is not married to only one organization and if there are people who think EPLF owns it all I think these people are narrow sighted people. ELF members paid the same blood just like EPLF and before all these kebire paid his life even some EPLF members we’re singing Ethiopia Tikdem in Addis . I personally believe Eritreans must adjust their lens away from narrow angle that shows only EPLF . How many great people from every corner of Eritrea died for Eritreans is the things we squarely need to adapt. I saw list of martyrs from ELF in one Facebook and I was simply sad to see not in a proper way that can be made public. I admit there is no way we can celebrate at the same level as PFDJ but come on , why will awatecom surrender the whole mighty work of Eritreans from all organizations. Hey Blink you said ” Well , I just don’t think hating EPLF has anything to do with Eritrea’s brightest generation sacrifice, after all before EPLF there were great organizations that pockef the African so called lions and bleeded them to death.” I understand that but I gave it all I had why awate.com doesn’t celebrate May 24, I did and I couldn’t understand any of it i.e. I came up the possible reasons I shared with you. 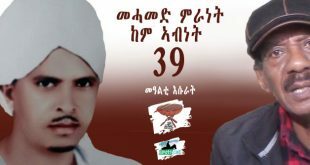 This is awate.com an Eritrean web-site with people who fought all their lives for the sake of this country, then what is the reason they don’t celebrate May 24? okay let’s think that maybe May 24 is attributed to PIA and decided not to mention it, then what about Martyr’s day? All the brave who died don’t deserve respect by an Eritrean web-site? I am lost. I always forget to emphasize that Eritreans don’t wait for few people praising their sons or friends, the truth is people are living life as time is all about before and after . I think not recognizing the success of past generation while being opposition talking for the benefit of Eritreans is simply ridicules and a big mistake .After all almost all young Eritreans abandoned the militaristic mind set of some old wishes. I am satisfied with your answer Nitricc because let’s think about it , Nitricc the legendary of awatecom forum replying and giving thoughts is enough for me. I believe this horrible time will pass and there will time for people contemplating their own decisions even if they are near death. Because they are toooooooooo educated to celebrate and dance like KEBORO JUNKEEEEEEEEEEEEEES!!!!!!!! They will celebrate and dance Eritrean independence when the Woyanes, the ICC, the SEMG, the Human rights watch……….. tell them to do so. U siad” eritreans must adjust their lens away from narrow angle that shows only eplf “. I mean tplf too sacrifice for liberation of eritrea, right? Aboy sebehat also celebrated may 24 last year in addis, so do u think so adjusting the lens include tplf too? What I meant was “ Eritreans should not forget there were another Eritrean organizations who died bleeded for the common reason and that reason has been all in all to get independent Eritrea away from Ethiopia and that means away from any people like Sibhat Nega . Now , why would an arc enemy of Eritreans and Eritrea celebrate May 24 ? Once you tell me that I can go on your fishing trip . TPLF did not die for Independent Eritrea , TPLF does for its own survival to stay floating in the fight against Dergi , their help was all but strategic once , remember helping your enemies enemy is not owning their vision. TPLF from its birth was all about getting an independent Tigray. I thought the requirement was any body who sacrifice for eritrea r untitled to celebrate.my bad , misunderstood u. But i thought i heard abi said we paid a lot of life for eritrean independence.no? You know for sure there were Ethiopian revolutionaries party leaders who supported Eritrean independence before TPLF . Abi is just in love with the picture of Ete Gebenen and I don’t consider his views as conciliatory to any Eritreans pain , remember I only oppose PFDJ I don’t entertain anyone who bash Eritrean founders and I don’t choose between ELF and EPLF , that I think is confusing some of my Ethiopian friends . Yes eprp was the first i guess. I know it must be really hard for you and MS to be accused of as a supporters of PIA/PFDJ all the time. What I understood from your past posts, as I understood them, is you asked and required to be shown the alternatives first. Change is only good if it is for the better. Today should be for all Eritreans a celebration of the birth of their nation! Period. I am away from home. Missed you and Jebena a lot. Will come back soon. Thank you Paulo. The same too you. I want to tell you a truth you have just confirmed for me. A truth of our Eritrean GitSAtSE Shiekh Ibrahim Sultan. You see Ayya Saleh, 50, 60 years from now, in a future setting mine or Professor Denmarkino AArkey or Beyan’s or Abrehet or your grandchildren will be in a conversation about who are most inspirational Eritreans in history. And it wouldn’t be shocking, to me for sure, if a few or many ofthose youngsers picked the names of Mr. Saleh “Gadi” Johar. Yes I envision 55 years from now young Eritrean round table discussion about our current፣ ዘመነ ወርቃዊት ምቅሊት፣ Eritrea Era The Golden Ratio Years. They will discuss the early years 1,1, 2, 3, 5 of the enthusiastic, hopeful and optimistic first SEVEN years. The criteria or the parameter the dialogue among these future young being “Eritrea’s Post Independence Inspirational Figures.. then these young will search painstakingly sifting like anthropologist excavating and sifting through all the data of the very dark years 8 up to 13, followed and on wards they will examine the “Boat People” years 21 up to 27 and continue to the SEVEN Golden Ratio Era up to year 34 the cut of for what they consider to be History. The sum of the above integers totaling 55 the first AAshera! Fibonacci sequence. In Western culture there is such a thing called as a Fib which has nothing to do with Fibonacci numbers or the Golden Ratio. They say a Fib is a white lie. I will tell you or anyone no Fib, I promise, but I will tell you about Fibonacci sequence of numbers and nature in more detail going forward. So, for a moment disregard Seid’s fib or his ዲጋ. Let your purpose be to continue to be an Oasis for those in dire need of quenching their thirst. I was told that “Give a man a fish, you have fed him for a day. Teach him how to fish, then you would have fed him for a lifetime” was first uttered by Eritrea’s Giant Sheikh Ibrahim Sultan. Some detractors , I recall once, made it into a controversy and engaged in futile debate who the quote should be credited to. Well as you have confirmed for us, Ayyana, Giant Eritrean Sheikh Ibrahim Sultan did in fact feed all Eritreans of the Tigre class for a life time. He did this by choosing LIBERTY through his life time work and passionate fight, as you have said, by being the Martin Luther King Jr. of Eritrea. ዮሃና መበል 27 ዓመት ናጽነት ኤርትራ። ወርቃዊት ምቅሊት ን ዓኻ ሳለሕ፣ ሳለሔን ኩላኹም ደቂ ሃገር! መዋእል — not only 50 or 6o years from now.. The ዘመነ ወርቃዊት ምቅሊት is killing me. You should see me laughing. I am sure ክቡር ብረዚደንት ኢሰያስ ኣፍወርቂ is pissed cuz you beat him to that as he fancies coming up with new Tigrinya equivalents. What if Ayay is an immortal legend who will still be in person telling the N number generation Eritreans how we made it through thick and thin, fog and clear, sunny and stormy. And of course, he will also tell them about Isaias-The-Terrible as in ITT not in a dry intellectual speak with lofty words in between but in a tapestry of engaging story woven in wisdom and aha! moment as well. P.S. Ayay great video as usual. Thank you. Happy Independence Day Blues to you all. This is a resubmission of an earlier entry (about four hours now). I guess, DISQUS is having Independence-eve panic. Your capacity to not only simplify complicated subject matter keeps getting better and better, but leaves its indelible mark on your viewer, at least to this viewer. I can’t tell you how delighted I was when you addressed the issue of the young man, Tesfit and his incessant reference to his age when the story being conveyed to him happened to occur before he was born; anything that happened before he was brought to the world didn’t exist or was less of interest to him appears to be the implied message of Tesfit. What that story of Tesfit you related, with a hint of sarcasm, which by the way, you’ve been doing it in all of your previous episodes, is just an apt assertion that hits the message home succinctly. At any rate, over the years, I’ve been asked how is it that I have such a passion for Eritrea and its people when I have only lived in it for the first 15 years of my life. I never felt I adequately addressed it. It always left me unsatisfied with my answers, which varied slightly depending how long the conversation lasted and its depth. My answer is not the main point here. Rather, what your story of Tesfit made me realize is that my connection to the land, to the sense of place, to the people whence I originate from did not start when I was born and ended when I left it. My ancestral identity I carried with me to exile and it is that connection, which goes beyond my immediate family, my immediate neighborhood, the city in which I was raised in, and more importantly, the people who shaped my life during those formative years combined with their stories that left an indelible lifetime impression where my passion toward the homeland and its people comes from. It is in this vein also that I came to similar realization when Semere Arkay asked me to do some editing of his recent book, “Reflections on the History of the Abyssinian Orthodox Tewahdo Church” last year that I was struck how that very history was a history of my ancestors. It was almost a moment of epiphany, you can say, with an immense relief I appreciated Semere for opening my mind and my heart to that part of the world where I come from must not begin where Islam kicks in the region. 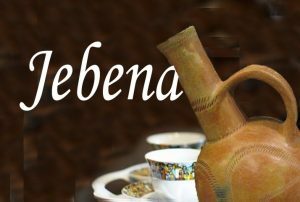 I must claim the history of Abyssinia in general and the Orthodox Tewahdo in particular as part of my Eritrean heritage irrespective of what my religious inclination is today. That history is my history I told Semere that when we had a conversation about it. Why must it be Semere’s history alone. The compartmentalization of our history where each ruler comes with the intent of erasing the history of the previous rulers has created this dissonance like existence for us. The foolishness lies in our inability to embrace our history based on our current faith. So, Ustaaz Saleh, thank you for making your viewers embrace truth through the pack of lies that the Alamins of Eritrea are spewing. Indeed, everything that this regime says, all that one has to do to arrive at truth is to flip it on its head, and there you will have the truth right on your lap. Your capacity to not only simplify complicated subject matter keeps getting better and better, but leaves its indelible mark on your viewer, at least to this viewer. I can’t tell you how delighted I was when you addressed the issue of the young man, Tesfit and his incessant reference to his age when the story being conveyed to hime happened to occur before he was born as if anything that happened before he was to the world didn’t exist. What that story of Tesfit you related with a hint of sarcasm, which by the way, you’ve been doing it in all of your previous episodes, is just an apt assertion that hits the message home succinctly.